Microgaming’s newest wing, Slingshot Studios, to release Cash of Kingdoms Slot in October. Take a step back in time to February 2018, when Microgaming stole the show at the ICE Totally Gaming Expo in London. For three days, the world’s oldest and most respected digital gambling software company wowed the crowd with tantalizing sneak-peeks at what was to come later in the year. One day of the event was devoted entirely to the future release of a new interactive slot machine called Cash of Kingdoms. The whole Microgaming Bar was decked out in a medieval theme. The highlight of the display was a crowd-awing contortionist archer who stood on her hands while using her feet to shoot a bow and arrow at various targets with deadly accuracy. By the time the day was over, and word had spread via news and social media, countless players were drooling with anticipation over the upcoming release of Cash of Kingdoms. Finally, the wait is about to be over. Microgaming has announced the new game—one of the most anticipated in the history of online casino gambling—will arrive on October 10, 2018. Surprisingly, its development was the handiwork of a new software wing Microgaming is proudly debuting alongside the release. Wednesday’s press release was a dual shocker for the iGaming community. Not only is Cash of Kingdoms finally coming to Microgaming casinos, it wasn’t actually built by Microgaming’s software engineers, but rather their newest partner, Slingshot Studios. 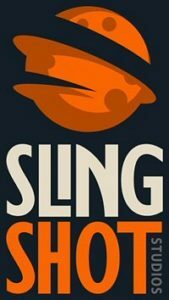 Microgaming introduced Slingshot Studios as “a crew of gambling industry veterans, new blood and everything in-between”. Under the terms of their contract, Slingshot Studios will continue to develop exclusive content for Microgaming. And if the Cash of Kingdoms release goes half as well as it should, this new studio is going to rise to fortune and fame with its very first release. Microgaming CEO John Coleman couldn’t be more pleased with the expert skills and imagination of the design crew at Slingshot Studios. “Microgaming’s extensive digital portfolio will benefit from the unique personality and expertise of Slingshot Studios, who are developing original games with exciting engines and features, all targeted at specific markets and audiences,” said Coleman. Once the new Clash of Kingdoms Slot hits Microgaming casinos next month, no doubt everyone will be itching to see what Slingshot Studios does next. It’s worth noting that Microgaming’s list of exclusive independent studio contracts is growing longer and longer these days. The company has signed more than a dozen studios since 2011, including big names like Nextgen, Genesis Gaming, Rabcat, JFTW, Pariplay, and just last week, Booming Games.